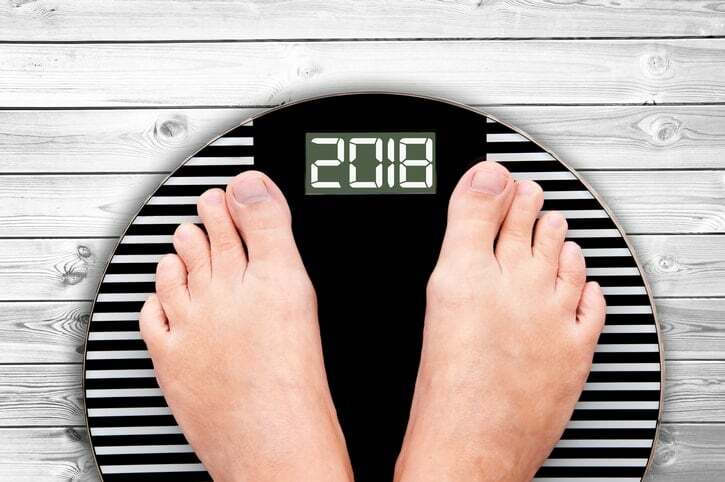 Year after year, weight loss ranks as the top New Year’s resolution and year after year, New Year’s resolutions are a broken dream by the end of January if not sooner. This year, if you’d like to stick to your weight loss goals, try these helpful tips for making the journey more successful. SMART stands for Specific, Measurable, Attainable, Realistic, and Timely. Think of it as replacing a vague goal of “I’d like to lose weight” for a series of smaller, achievable goals. For example, set a specific goal of losing two pounds a week. Make your goals realistic by not demanding too much too soon. Many people will drift away from their weight loss resolution if they don’t actually pave a path to achieve it. Set attainable benchmarks like “walk one mile four times a week” rather than “jog two miles every day.” As you reach your goals, check them off the list and continue to set different realistic goals helpful in your overall weight loss journey. Studies show that people who try to lose weight are more successful when they pair off with a weight loss “buddy.” Having a support system in place with another person who is experiencing the same struggles helps motivate the team to greater long-term success. The buddy system doesn’t have to entail one single partner. You can meet like-minded buddies online to share weight loss advice and express encouragement. However, with a partner you meet through mutual friends or support groups, you can motivate each other in your weight loss goals by exercising together, cooking and sharing healthy recipes, and talking face to face about your personal struggles and goals. Trade in crushing candies for crushing weight loss goals with an app for your phone. There are several highly rated apps available to help you track every aspect of your weight loss goals from exercise and fitness, counting carbs and calories, recommending healthy recipes, learning portion control, and more. Sometimes it’s impossible to stay on track for any goal if you don’t see an immediate payoff. Trying to stay on a strict diet for six months without one bite of dessert or your favorite food is a recipe for failure. By setting up incentives, you reward yourself for good behavior and positive results at regular intervals. For example, if you meet your goal of drinking eight glasses of water each day for a week, treat yourself to a night out with your spouse. If you hit your goal of exercising 20 minutes a day for five days, splurge on a pedicure or a new hobby item. Continue the incentive process until your new, healthy eating and exercise habits become a legitimate lifestyle change. Long-term weight loss is challenging no matter how motivated you are. Let the skilled physicians of Park Avenue Medical Professionals set you up for success by conducting a thorough health assessment before you set out to achieve your weight loss goals. Contact us for an appointment today. Fill out the form on this page to request an appointment or call 212.427.2000 to learn more.